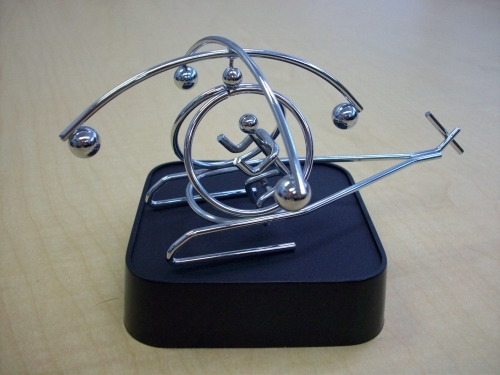 Magnetic base with wire helicopter. Rotor blades balance on top & spin. 3 1/2" x 6" x 3 1/2".